Tired of your online store’s same dreary and meaningless copywriting? Do you want new ideas to overhaul your writing and give it more personality and an extra little punch to boost your conversions and sales? Ever heard of power words? Now is the time to pay attention to them. As they say, words are extremely powerful and that’s exactly the lesson in store for you today. In a matter of minutes, you’ll successfully learn what power words are all about, why power words are important for your eCommerce growth, plus access to a quick reference guide of 400+ power words — all the forces needed to turn your writing into a powerful selling machine. Are you ready to get stronger and even more powerful conversion? Let’s get started! Power words are words used by savvy writers, sellers, and marketers alike to trigger an action or a response. These actions and responses are set off either psychologically or emotionally. Writing has a great disparity from talking. When we talk, we can use facial expressions, body language, and even hand gestures to further express and give more meaning to our words. But when we write, we can’t frown or smile or put our fist up in the air to do so. So writing, in general, is in need of more push because we can’t use actions and gestures to give more weight to what we are trying to say. And that’s where power words will come in. In short, power words are any word that we can use to further invoke our emotions, inspire your shoppers or capture your audience attention. You have most likely encountered lots of power words over past months, but you’ve never really known that they’re being used for the purpose of marketing. Usually, power words are used in marketing to convince people to engage and quickly act to a call to action. For instance, Buzzfeed is notorious for always incorporating power words in their headlines to draw people into their contents. This helped them to drive their contents to go viral and trending. This headline alone has 4 power words in it. Why use power words in your online store? 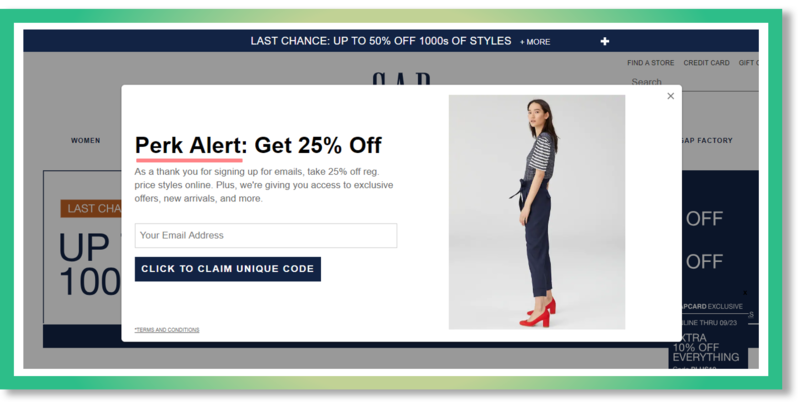 Online marketers and eCommerce practitioners have conducted experiments for years, looking for new techniques on how to use power words to maximize conversion and amp up sales. In all cases, the general consensus is that adding power words, in the right context on your headlines, call-to-actions, landing pages, product pages, and other contents can facilitate in uplifting your conversion rates. In fact, an A/B testing revealed that when a power word was added to a call to action, visitors were found out to 12.8% more likely to convert when presented with a power word CTA versus the original CTA without any power word. Triggering Emotion: A study reported that people’s emotion is one of the key drivers of why contents go viral. It was found out that high-arousal emotions, such as anger and happiness, are more likely to receive more engagements. Power words such as “hilarious”, “abused”, “betrayed” are examples of highly emotionally charged words. Inciting Curiosity: Everyone has a strong curiosity to know or learn something. Sating curiosity is one of the most primal psychological impulses among human beings. This is why curiosity is widely used to pique people’s interest in clicking, reading, and sharing contents. Power words such as “mind-blowing”, “jaw-dropping”, “mind-boggling” incite curiosity. Manipulating Control: A research found out that widely shared contents in social media were very connected to dominance or control. Feelings of either being in control (e.g. : inspiration or admiration) or less control (e.g. : fear) can drive people to share and engage with a social media post. Power words such as “swoon-worthy”, “thought-provoking”, “be aware” can manipulate control. As there are thousands of available power words for you to use, we will focus on power words specifically designed for your online store’s conversion. To make your life easier, we already have categorized the power words according to their special area of eCommerce conversion. Save this reference list so you can easily copy and paste your desired power word to your online store anytime, anywhere. The most effective area to put your power words in is through headlines or subjects. A headline is a copy that comes at the top of a written piece, content or document. Headlines are usually the most distinct part of a content either done by bolding, enlarging or coloring the headline texts. Your headline is the first thing people notice and see when encountering your contents. The use of headlines is to encourage and convince people to read the entire text, briefly summarize what the content is all about or push readers to take the desired action. So whether you are crafting the perfect headline to entice visitors to subscribe to your emails or lead them to a viral-worthy content, you can use power words to transform a mediocre and boring headline into an irresistible and highly converting headline. 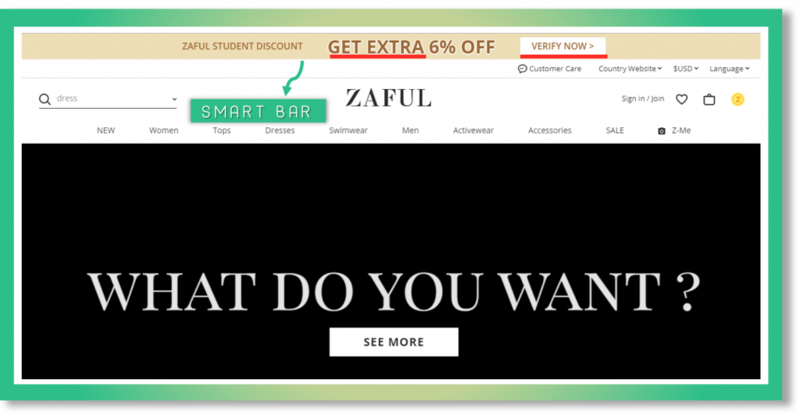 For example, you can use a Smart Bar to announce your promotional campaigns or highlight your products right on site’s header. This way you can easily grab your visitors’ attention. Plus, do not forget to incorporate power words for surefire conversion. An example of how you can incorporate power words with a Smart Bar on your website. You can use power words in your headline and call to action button. Smart Bar is a free feature from SiteKit. It is mainly designed to easily build beautiful, modern, and highly responsive header bars for online stores. Smart Bar can help you display promotional (e.g. : sales, promos) and even non-promotional messages (e.g. : announcements, contents) at the very top of your online store’s website without blocking the main contents of your page. Because it is highly flexible and customizable, you can include as many power words as you want into your header bars. This way you can create highly targeted and very personalized messages and engagements with your visitors, empowering you to smartly convert your audience as customers using powerful words and messages. If you want more tips on how to use header bars using Smart Bar, read on these actionable tips to get more best practices and real-life examples of header bars. Today, most eCommerce stores, online merchants and marketers tend to opt for safe and conventional words when writing their copies and other related contents. While they are good because they can easily convey your message and your readers can quickly grasp your ideas, it can be challenging to stand out and to be more convincing. Using safe and conventional do not always mean effective. In order to drive people to take an action or covert, you need to find alternatives like incorporating power words to amp up your conversation, entice your readers, stir up their curiosity, and ultimately push them to conversion. With our list of more than 400 power words specifically designed for conversion, you already have access to quickly infuse your writing with more sweeping emotions, brighter and colorful language, and more epic headlines or subjects. Don’t forget, however, that in order for power words to work effectively, they must be used strategically in the right context with the right audience and the right timing.